How many sports games did the NES need? As it turns out, a lot more than I can keep up with. 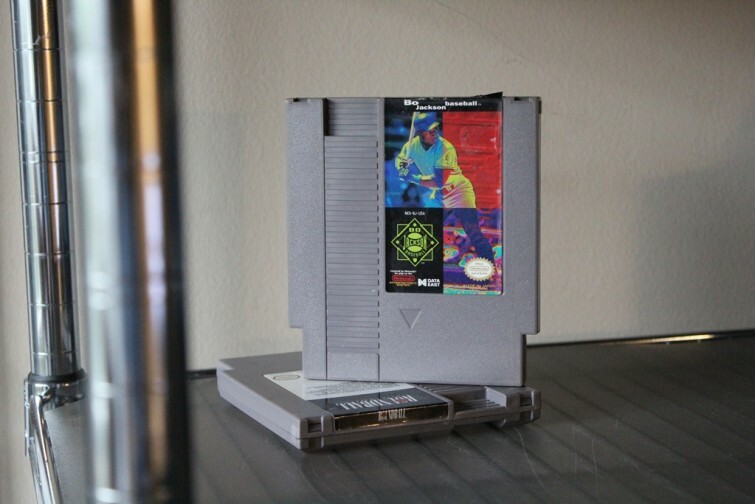 My final NES finds of the year were a bit unexciting– Bo Jackson Baseball and Roundball 2-on-2 Challenge. Although, the NES has a small proportion of sports titles than the Sega Genesis and Nintendo 64 (I’m pretty sure), there’s still a lot more than I had realized when I started the NES Quest. Roundball stood out to me for two reasons: 1. the extremely minimalist cover and 2. what is roundball? As it turns out, it’s basketball. Both of these games are sports games that did not have proper licensing with any major sports league and therefor contain fictional players (with the exception of Bo Jackson)– which is one reason why neither games are particularly successful. Bo Jackson Baseball contains real cities but fake names. For the most part, all modern sports games contain real sports players with incredible likenesses to their real-life counterparts, even the coaches and franchise owners. NFL, MLB and NFL licensing provides a huge draw for many gamers who want to play as their favorite players. It’s interesting to see all these early sports games with generic characters though, and how they weren’t able to create successful gaming series. So this is my final NES haul of 2015. I’m definitely looking forward to what 2016 holds for my NES collection. I’ll post a new article on my plans for 2016 as well as my reflection of this year in NES Quest pt. 45. Stay tuned! This purchase brings my collection from 363 to 365 NES games. For the rest of the entries of NES Quest, check them out right here on Retro Chronicle.